Vol 2 of the most spectacular waterfalls. My favorite is Angel Falls but really, I wouldn't miss any of these. Best bits of nature. The water pouring down from a flat-topped plateau Auyán-Tepuí creates a sight that is best described as completely epic. The huge waterfall in middle of rainforest looks like a scenery from a sci-fi movie. 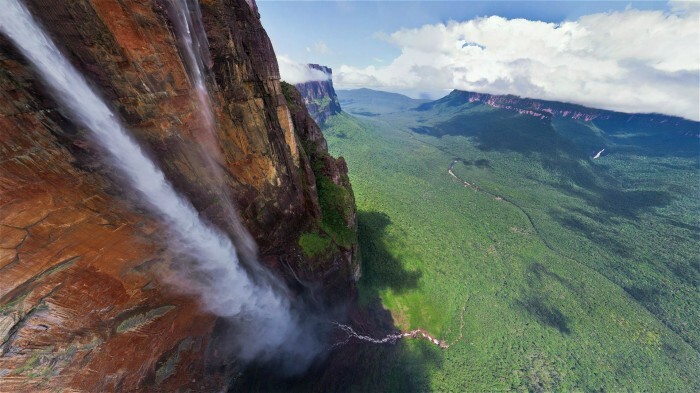 Angel Falls is the world’s highest waterfall at 979 m (3,212 ft), with the height of the longest drop 807m (2,647 ft). As a comparison, the Angel Falls are more than 19 times higher than the Niagara Falls and more than twice as high as the Empire State Building. Is it serious when a glacier bleeds? Not necessarily. 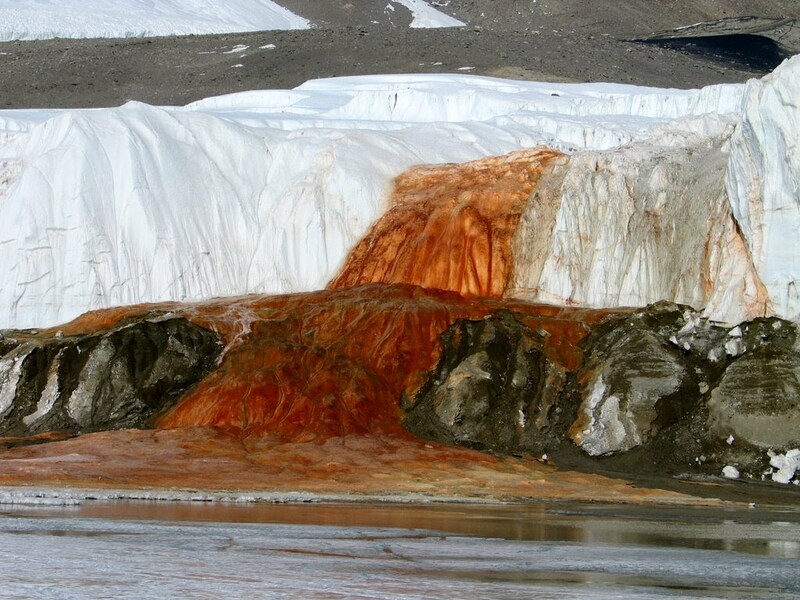 It might be the Blood Falls in East Antarctica. This five-story high, blood-red waterfall pours slowly out of the Taylor Glacier. Looking at the highly creepy sight, you might think about all the alien societies crushed under the Antarctic glacier. The rising mist of Victoria Falls can be seen more than 20 km away. Getting closer, you will hear the thunder of the falling water. 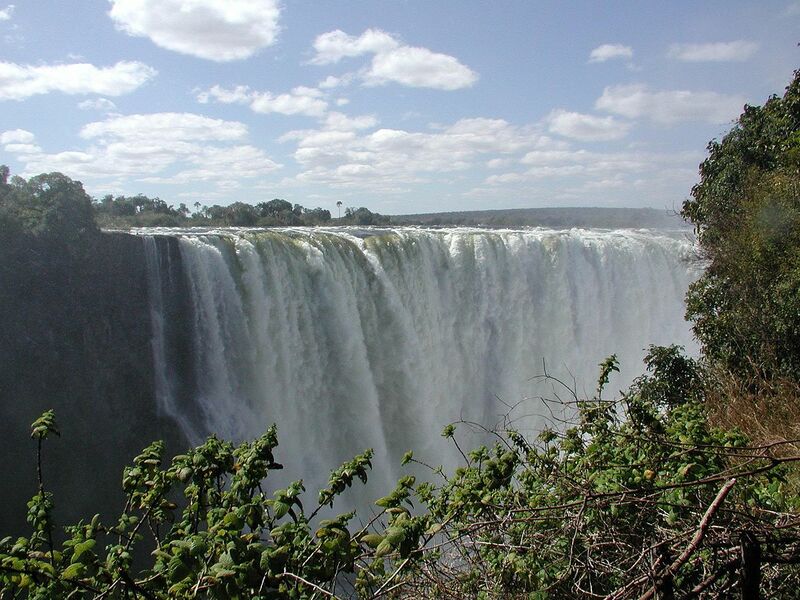 Once you experience the falls, the origin of indigenous name Mosi-oa-Tunya (Smoke that Thunders) becomes obvious. The Victoria Falls constitutes one of the most spectacular natural wonders of the world. While it is neither the highest nor the widest waterfall in the world, it is classified as the largest, based on its width of 1,708 metres (5,604 ft) and height of 108 metres (354 ft), resulting in the world's largest sheet of falling water. An average of 550,000 cubic metres of water plummets over the edge every minute. Gullfoss is an iconic waterfall in South Iceland offering a spectacular view of the forces and beauty of untouched nature. The waterfall is incredibly powerful with the highest flood measured at 2000 m³/s. 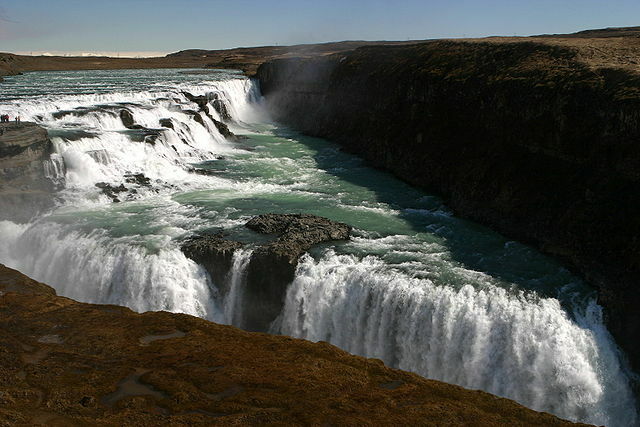 The water plummets down 32 meters in two stages. First it drops over a wide cascade over chunks of black rock, before shifting 90 degrees and falling further into a narrow crevice. An unstoppable flow of rushing water surges over the edge with thunderous force. The mist rises for hundreds of meters as the waters collide. Niagara is not the tallest waterfall but it is the most powerful one in North America and among the three most powerful ones on the globe. Every second a whopping 7000 cubic meters (or more than a million bathtubs) of water plummets downward. Despite the raw power of the falls, they are one of the easiest to access and view from all sorts of angles. 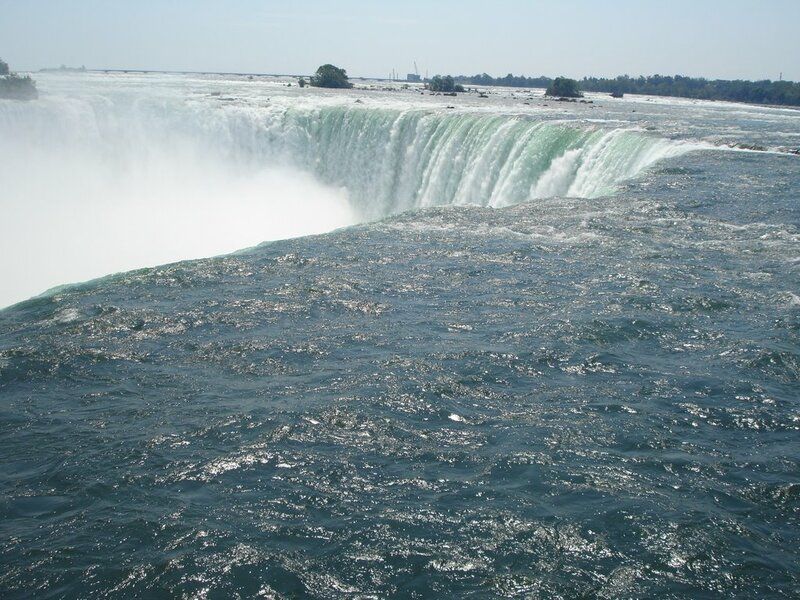 The Niagara Falls consist of three separate waterfalls. From largest to smallest they are the Horseshoe Falls, the American Falls and the Bridal Veil Falls. Ramona Falls drops 120 feet, cascading and splitting into ever smaller drapes broken up by the hexagonal columns of basalt at the base of the cliff. 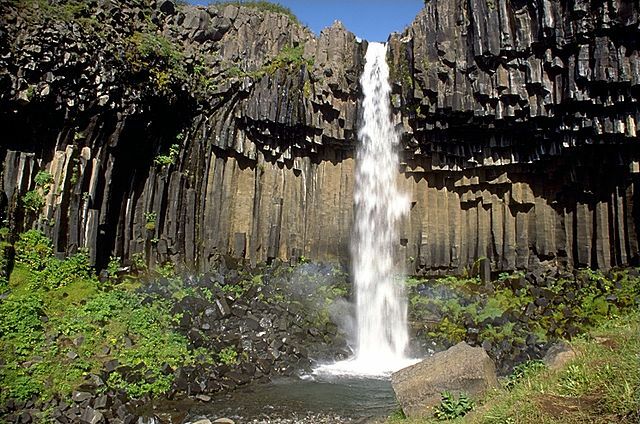 The special shape of the columnar basalt was formed in a lava eruption. 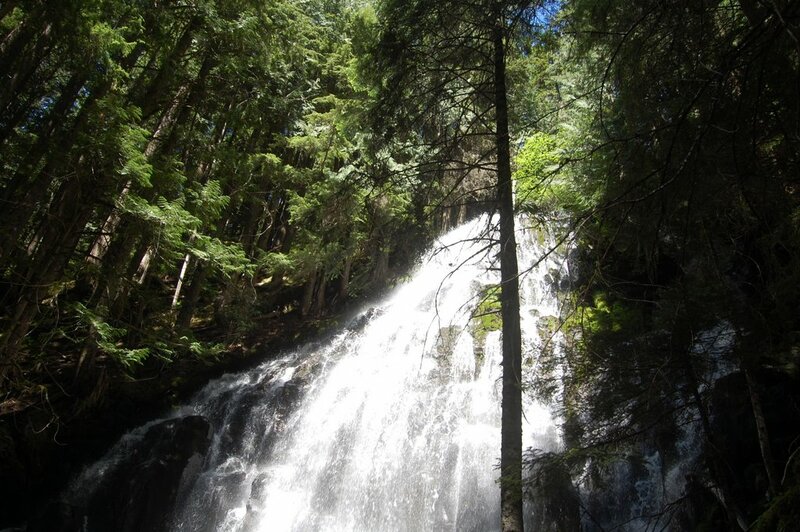 There is an 11,7km long loop trail to the falls. The south leg of the loop is less scenic but the north leg after the falls really enjoyable following the lush, green path of Ramona Creek and skirting towering cliffs before veering south to head back towards the trailhead. 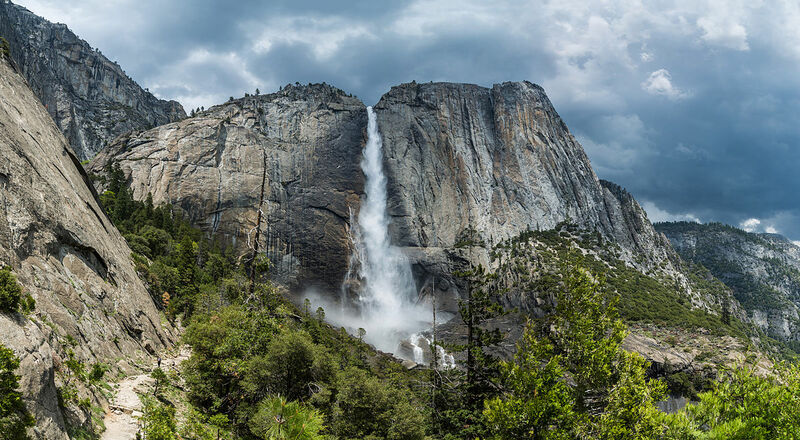 Yosemite Falls is the highest waterfall in North America. It is made up of three separate falls Upper Yosemite Fall (1,430 ft), the middle cascades (675 ft), and Lower Yosemite Fall (320 ft). The total 2,425 feet (739 m) from the top of the upper fall to the base of the lower fall qualifies Yosemite Falls as the seventh highest waterfall in the world. Yosemite Falls is at its best in the late spring when the water flow is at its peak. Once all of the snow in the high country has melted away, Yosemite Falls becomes only a trickle and is often dry by August. 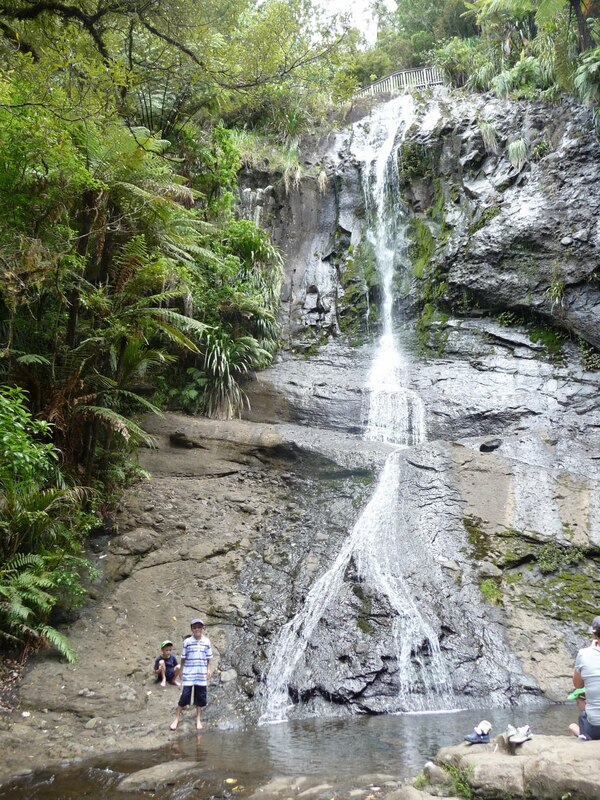 Fairy Falls is a multi-tiered cascade, located in the central part of Waitakere Ranges Regional Park. The falls consist of several tumbling tiers toward the top and a few smaller plunges in between before the final large slanting drop at the base in azure-colored waters. 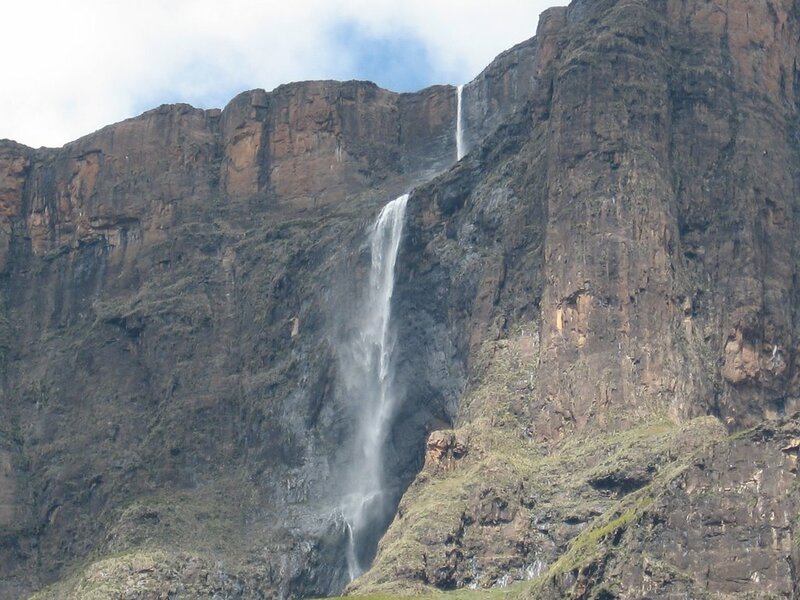 Tugela Falls is the world's second highest waterfall after the Angel Falls in Venezuela. The Tugela River makes a series of five consecutive leaps down the amphitheater wall in the high Drakensberg Mountains. The total drop of the free-leaping falls is 948 m (3,110 ft). 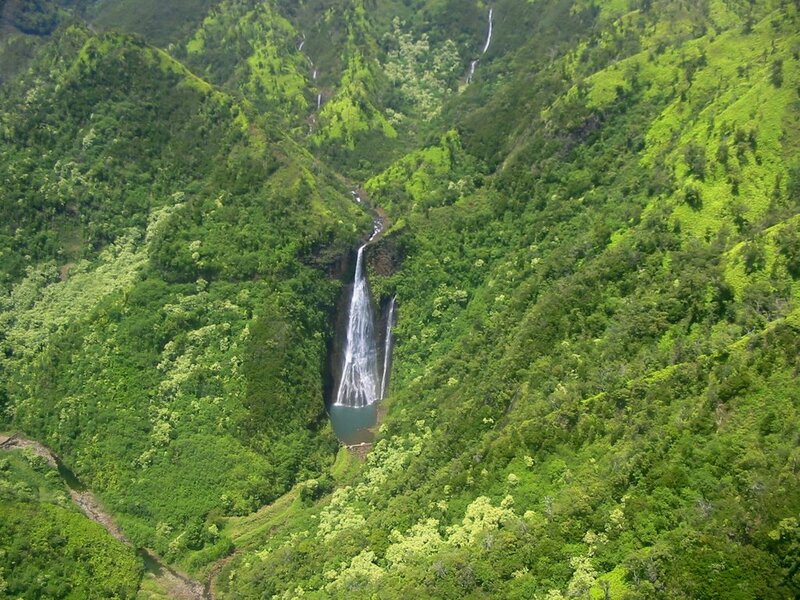 The picturesque setting of Manawaiopuna Falls feels like directly from a movie. In fact it is. Many scenes of Jurassic Park had the Manawaiopuna Falls as background. Thus, they are also known as Jurassic Falls. This incredibly scenic 360-foot high waterfall used to be a secret waterfall before its role on the big screen. Nevertheless, the falls are still remote and there are no roads around. The road and helicopter landing site that were seen on the film were built there only for the movie and then dismantled. Svartifoss is one of the extraordinary waterfalls of Iceland. It is surrounded surreal looking hexagonal dark lava columns, from where it also got its name. Svartifoss (Black Fall) is one of the most popular sights in the in Skaftafell National Park. The falls are relatively easy to access and view from up close, and the flow is good all year-round in a landscape of glaciers, volcanoes, and large tracts of black sand. Be careful when walking around, the base of Svartifoss is noteworthy for its sharp rocks. New hexagonal column sections break off faster than the falling water wears down the edges.